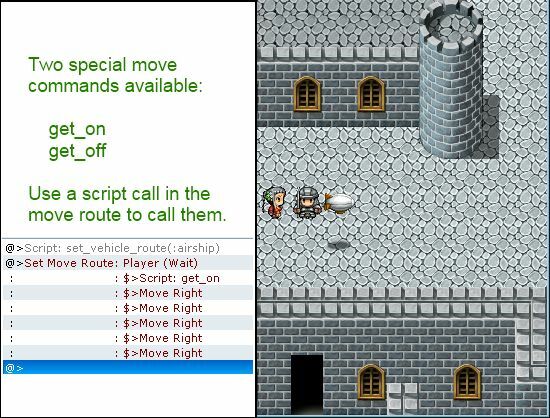 This script allows you to set move routes for vehicles on the screen using the move route editor. the vehicle is on the same map. The vehicles will play the appropriate animations for getting on and off. Do you have a script to make it so a vehicle can be a horse? I want to have 2 dif graphics at least i guess one just the horse and then ones for each character but at least main character. I tried will plug and play but it only works on the small boat vehicle. thanks for all the awesome scripts you write. 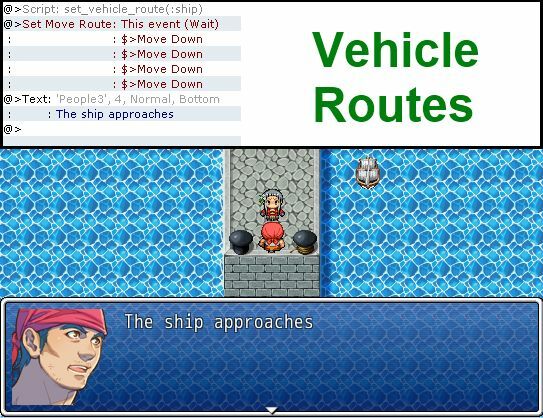 I am new to rpg maker and am lovin it. !! Have you tried just changing the character’s sprite to one on a horse?